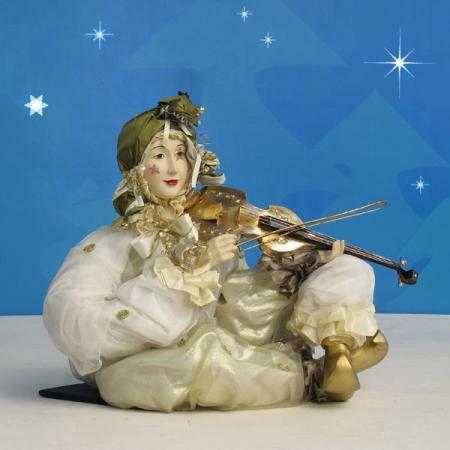 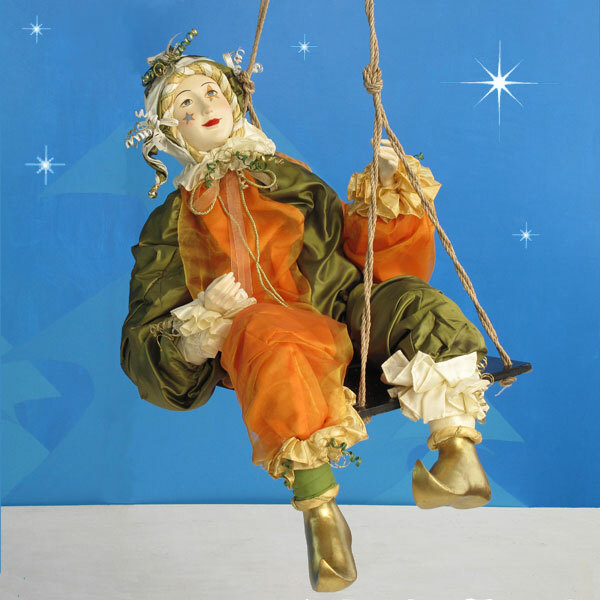 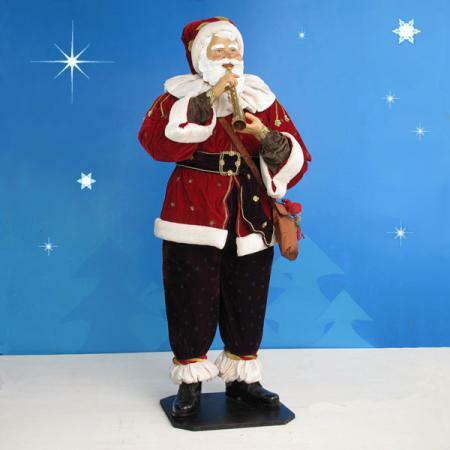 AlRiver Jester on Swing - Resin/Fabric - 40"
This spectacular resin and fabric hanging Jester decoration by AlRiver makes the perfect complement to your whimsical winter display. 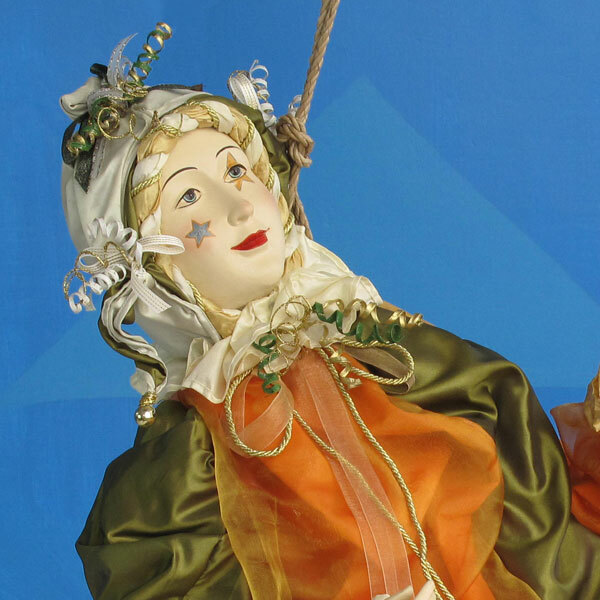 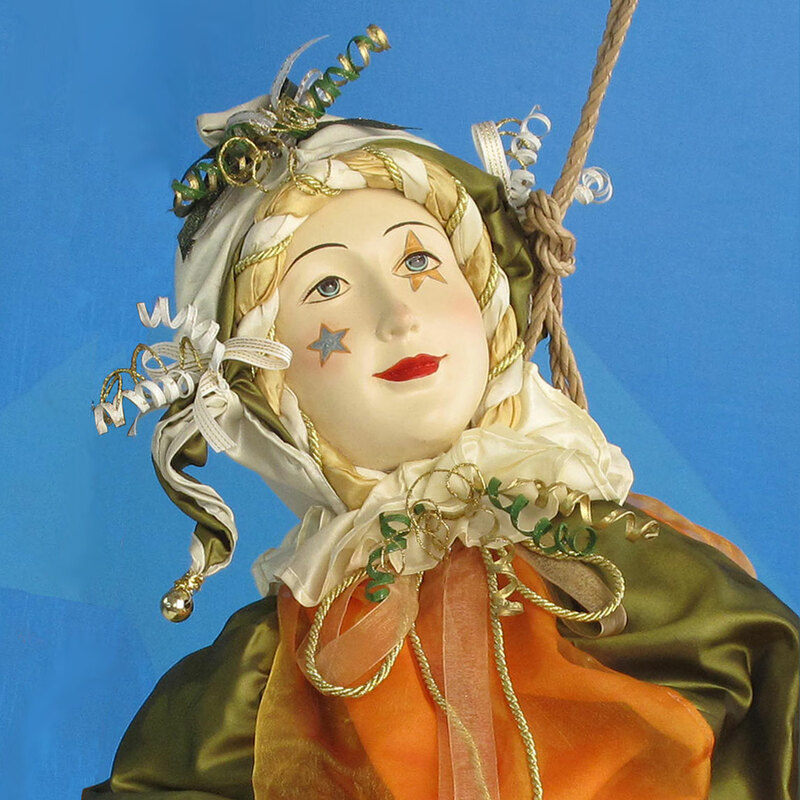 Handcrafted with exceptional quality and detail, the premium Jester doll may be hung from the ceiling in your home or business. 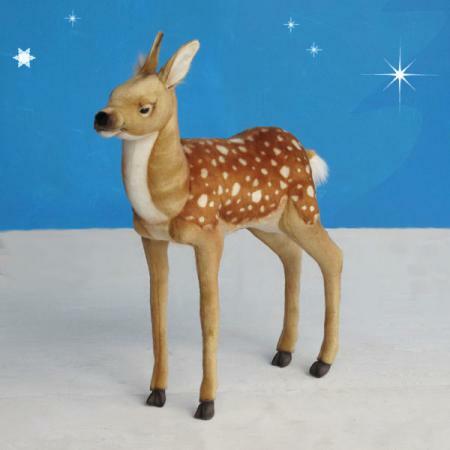 Dimensions: L 36" W 21" H 40"
Shipping dimensions: L 21" W 38" H 31"